Boom. A brainstorming episode turned into a successful business naming session. That’s how Sir Richard Branson named his business endeavor while it was still in its early stages. An employee randomly remarked that they were all newbies to business. The word left an imprint, and the caterpillar Virgin grew to become a butterfly encompassing more than 400 ventures around it. The Virgin group of industries focuses more on the quality of services provided than the quantity, possibly the secret of its success. However, there are a lot of lessons that all and sundry including small business owners can learn from Sir Branson. He credits passion, fun, and a lot more ingredients when inquired about the recipe for success. Passion has a habit of wearing sequin jackets that don’t falter in catching attention. So, when you nurture a business based on your passion, you exude enthusiasm that, in turn, attracts people. Not to mention, passion fuels your progress. And, you need the fuel to keep the gears rolling without any system glitches. Curious researchers have also wondered about the authenticity of this common mantra of following your passion. Not so surprisingly, they’ve concluded the same – passion is the key to entrepreneurial progress. Lots of us dive straight into business waters, riding along its uncertain waves. However, consistent swimming/work burns our productivity reserves without us even realizing it. Taking time off, punching in breaks into your work schedule, and vacationing are some ways to oil your engines to keep functioning smoothly. Evidence from a study conducted by the firm Ernst & Young drives the same conclusion. The findings suggest that the year-end performance upped by 8% for every additional 10 hours of vacation. More research indicates that taking time off allows you to sleep better and alleviates stress as well. This doesn’t necessarily mean that you have to break the rules when attempting to give wings to your business. Moreover, you can’t expect that if you follow a certain formula, you’d be on your way to success. That’s not how the business realm thrives. Ventures bloom on trial and error. Something that worked for someone else may not work for you. A case in point is Thomas Edison’s invention of the light bulb. He made over 10,000 attempts to invent the bulb. So, as a small business owner, tweaking and improvising your plans over and over will only help you improve the results. Failure and business setbacks can be disheartening. Your heart sinks and keeps journeying to the bottom of an abyss with hope leaving the room at the same time. However, running a business requires you to be strong-minded. Instead of focusing on the failures, pay attention to what you’ve learned from the experience and blend the lesson learned into your future work. For instance, Arianna Huffington’s work was rejected by 36 publishers before it finally found a home in a publication house. Similarly, when Huffington started the Huffington Post, she got caught in a net of negative reviews and poor quality allegations. Therefore, the drill is simple – plan, execute, fail, learn, and repeat. Once you get a practical taste of things instead of just a theoretical one, you’d be better able to comprehend the nuts and bolts of your business. Fear of failure or jumping out of your comfort zone can be hard to give up. However, calculated risks are part and parcel of every stage of life. Your business works the same way. It’s not a dessert served on a golden platter. It’s a new dish that you come up with after several attempts at baking and burning the batter to crisp – lots of waste, extensive hard work, and some smoke maybe. Take Sir Richard Branson himself. He didn’t let his fear engulf him. Branson had a hard time at school because of his dyslexia. However, he didn’t let that hold him back when he started work on his ventures. If an opportunity comes along, stares deep into your eyes, raises your hope by several notches, and decides to leave – you’ve all the right to grieve. However, be done with the grief with a few cans of Coca-Cola and move on. More opportunities are lined up. They only haven’t taken off their invisibility cloak yet. And while we’re at it, did you know that the world’s wealthiest, Bill Gates, stepped into the entrepreneurial zone with his venture Traf-O-Data? It was an early version of big data that didn’t get any recognition. In fact, it met failure smack in the face. However, he didn’t pack his bags and go into hiding. Bill Gates looked for more opportunities. Life teaches lessons at every step except that it doesn’t wear a dean’s gown. So, instead of resisting life’s lessons, try to learn them. Not to forget, learn as much as you can on a daily basis. Read an informative article, success stories, or a book on customer services. It’s only a matter of time before your mind will subconsciously start incorporating what you learn into your business plans. You have to be prepared to take such experimental steps for getting a satisfying outcome. Before Oprah Winfrey came to be known as the “Queen of Daytime Talk TV,” she had seen tons of downs including being fired from her position as a reporter. Similarly, Walt Disney was told that he lacked creativity. Starting from contributing cartoon drawings to his school paper, Disney ended up getting an Oscar for creating Mickey Mouse – he tried everything to get to that position. Well, not really. Money can take you to Paris for sure. Changing your mindset from making money to doing something for yourself or any other such philosophy can help you drive your business to the zenith. Your customers can sniff your values when earning bucks is the focus. This paints a poor picture on their mind – you rank taking their money over the service or product that you provide. Consequently, earning customer loyalty plummets, which is not good for any venture’s survival. Therefore, shift your focal point to something more positive. While networking or introducing your business to potential customers, keep your message clear and to-the-point. Complicating the message with wishy-washy language will leave an unclear message. An unclear message doesn’t leave a memorable imprint. Therefore, keep your pitches clear and memorable. There’s a lot to learn from Sir Richard Branson. A quick recap – keep learning, fuel your dreams with passion, have a clear business message, and try anything without the fear of failure. Who else is an inspiration for you? I’d love to hear. 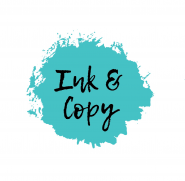 Tweet me @inkandcopy. This is a good article and I’d agree that after reading Losing my Virginity and Screw it! Let’s do it!, my life has never been the same again. Though I worked for him for few years, nothing made sense. Not after reading his books. Elizabeth Gilbert, Paulo Coelho, Jen Sincero and Tim Grover are now giving me the inspiration I need. Thank you for reading, Dani. I am glad that you’ve found your inspiration. This is so interesting and so true, at this time of year I always get a little frustrated and feel like I need a bit of a shake up in my business. This has been great to read! Thank you for reading, Rachel. :) Haha, that’s fine, happens to the best of us. There’s some entrepreneur or personality or even a celebrity who is SO famous out there yet we’ve never heard of him/them in our lives.